„You must have chaos within you, to give birth to a dancing star” (Friedrich Nietzsche). That must have been what the Schmid brothers had in mind when Christopher (former vocalist, and still songwriter and indispensable asset of the band) came up with the title and cover of their new album “Bleeding The Stars”. But before glancing into the future let us look back: originally starting as a death-doom metal band in 1993, they went the gothic route over time. In 2004, their album AVE END paved the way for their subsequent album FILTHY NOTES FOR FROZEN HEARTS (2006). This chart album is considered a personal milestone, making HIM-fan and US Jackass star BAM MARGERA take notice: Not only was “And God’s Ocean” from SONGS FOR THE LAST VIEW covered by both Bam Margera and Alissa White-Gluz, it also served as background music for “DAS TOTE MÄDCHEN”, an episode of the ZDF’s Monday evening crime show NACHTSCHICHT. Where’s the adventure, you ask? Well, with THE GRANDIOSE NOWHERE (2010) they toured south America and later China as the headliner. 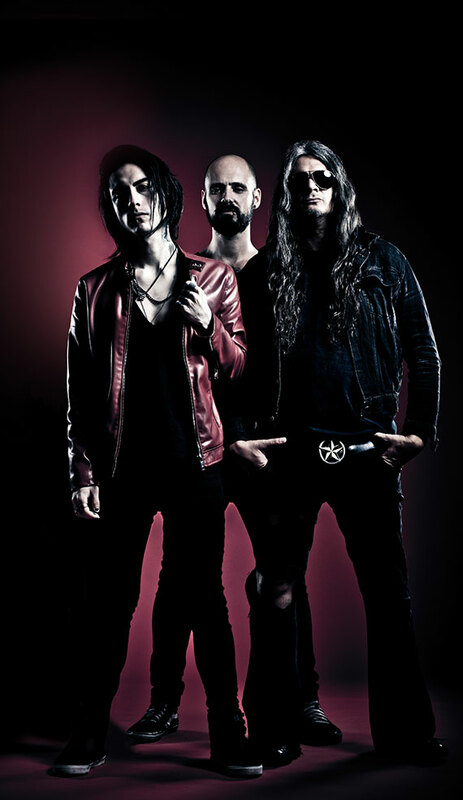 ANTIADORE (2013) – guest composer being none other than RICKY WARWICK (The Almighty, Thin Lizzy, Black Star Riders) – enabled their first world tour. Japan, Korea, Mexico, no matter where: “Ave End”, “My Velvet Little Darkness“, “Again It´s Over“, “My Release In Pain“ – the audience knew the lyrics to all of these songs. There were several discussions until Oliver realized that in order for the band to live, they had to kill it first. He and Christopher turned to songwriting to find the band’s soul and essence again. “These songs are so much more because we had to give it our all”, he reminisces. 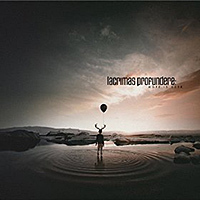 But rising from the ashes also meant a new vocalist had to be found for Lacrimas Profundere. That’s when Olly remembered a young talented guy by the name of Julian Larre, who made an impact on him with his cover versions of such different acts as “Asking Alexandria”, “Slipknot” or “HIM” on YouTube. However, between their first contact and the actual meeting Julian had moved from Germany to Helsinki. “I initially wanted to have a vocalist in Germany to remain flexible, but I just fell in love with that voice, so in the end I probably would have flown the guy in from Alaska. He sounds just like my brother did 20 years ago and can handle the hard vocals”, Oliver tells us. And laughing, he adds: “And anyway, it fits in with my concept of running this band without bounds and borders”. The big bang theory states that matter, space and time emerged 13,8 billion years ago from a primordial singularity, an infinitely small point. This point exploded and the universe expanded in the blink of an eye from the size of an atom to that of a whole galaxy. It hasn’t stopped growing since. So why are we planning every minute of our lives, why do we consider every step we take? In the end we are but a speck of dust without any importance to the universe. Thus was the team’s mindset for everything that followed: A video shoot in Iceland? Why not. A tour without a new album? Bring it on! Everything that counts is the freedom to feel, not think. 12 new songs were created this way, full of new elements, classic goth rock or heavy doom. Is it any wonder that the guys rewarded their very first buyers with a special something? – Four piano versions and one new song which all showcase the beautiful collaboration with Chris Harms (Lord of the Lost) and Tobias Schönemann (The Vision Bleak) are included as a bonus CD give-away and won’t ever be available on websites like Spotify or Apple Music. “Bleeding The Stars“ invites you to let go, makes you realize that everything ends and nothing is as important as it seems – it’s what the band experienced when recording the songs. Want to take a stroll among the stars in the dark of night? Why not, all you have to do is press “play” and enjoy the accompanying soundtrack – with “Bleeding The Stars”!